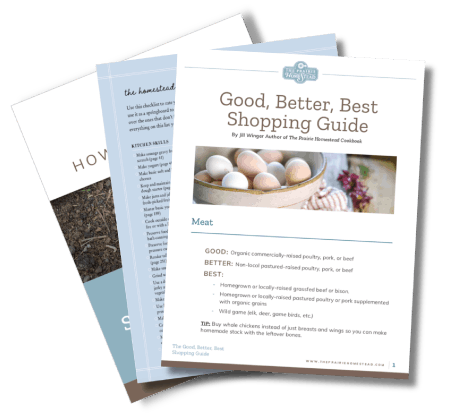 Indulge in 100+ delicious, wholesome recipes made with fresh ingredients to bring the flavors and spirit of homestead cooking to any kitchen table. 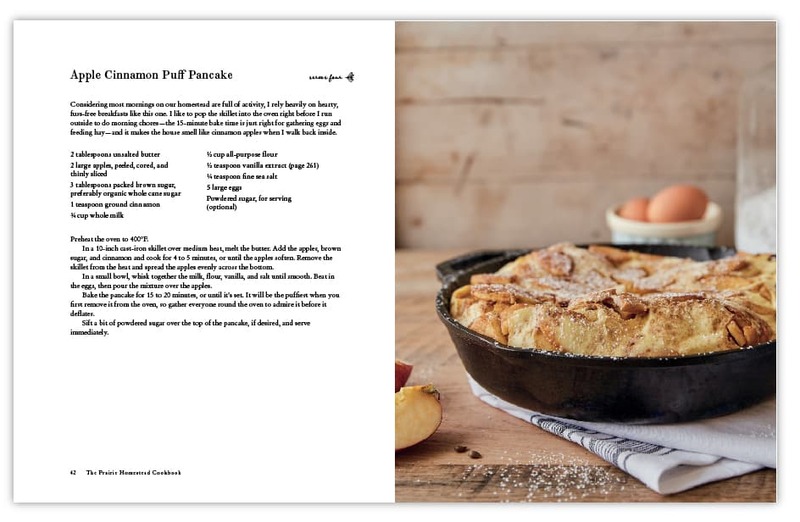 The Prairie Homestead Cookbook is available at these online retailers in both hardcover and Kindle format. 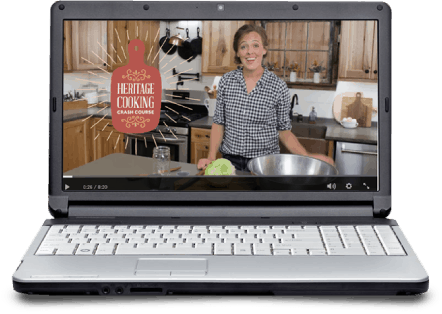 Hi, I’m Jill Winger, creator of the award-winning blog The Prairie Homestead, and author of The Prairie Homestead Cookbook: Simple Recipes for Heritage Cooking in Any Kitchen. 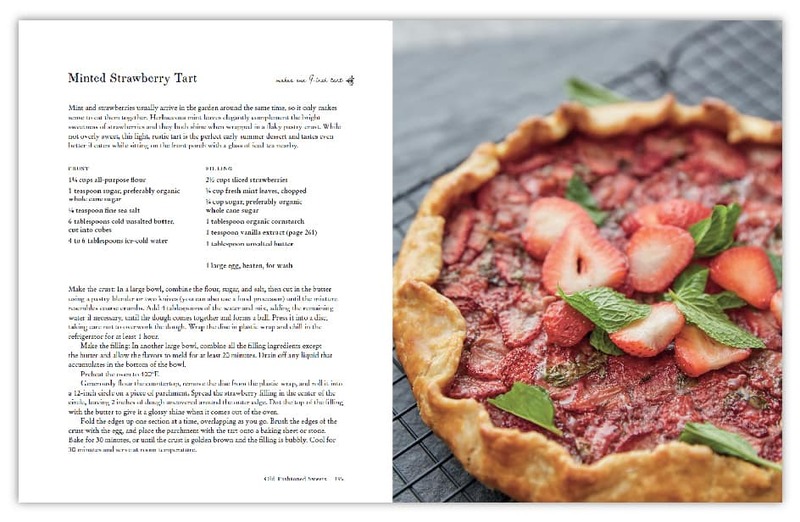 Inside this colorful cookbook I will show you how to make 100+ wholesome recipes made with fresh ingredients to bring the flavors and spirit of homestead cooking to any kitchen table. 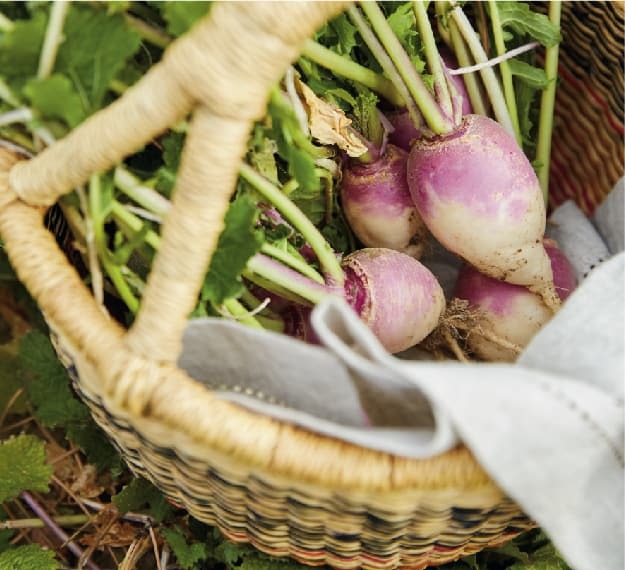 While my family produces much of our own food on our Wyoming farm, you don’t have to grow all—or even any—of your own food to cook and eat like a homesteader. These well-tested recipes include my family’s favorites, with maple-glazed pork chops, butternut Alfredo pasta, and browned butter skillet corn. Inside you will also find bonus recipes and tutorials for homemade sauces, salt rubs, sour cream, and the like—staples that many people are surprised to learn you can make yourself. 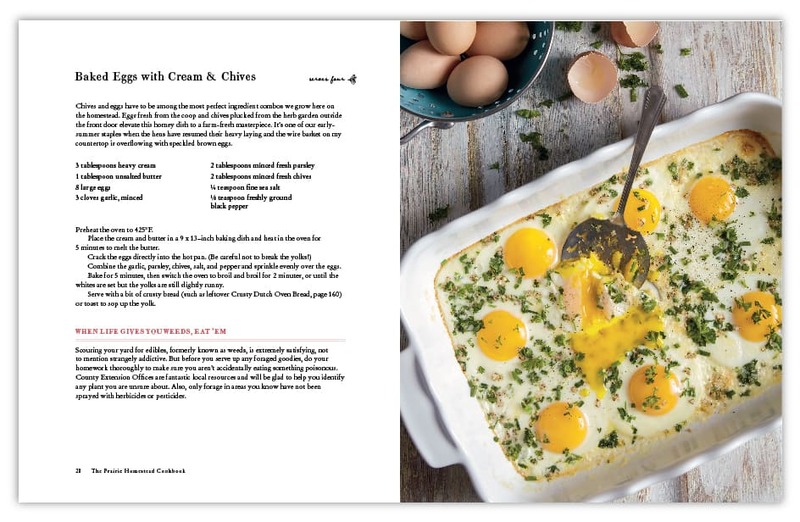 Part recipes and part homesteading handbook, The Prairie Homestead Homestead Cookbook will not only teach you how to make traditional American comfort food recipes with simple, whole food ingredients, but will also help you get started growing your own veggies, eggs, and maybe even dairy. 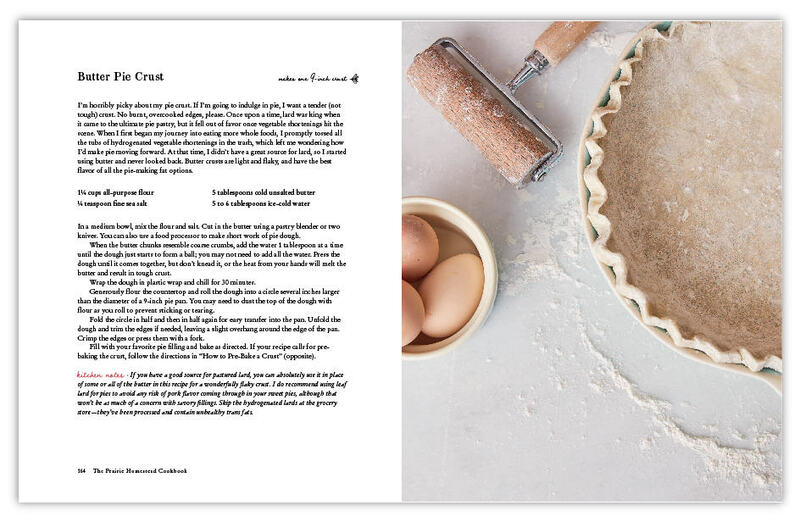 "From getting your hands dirty in flour to dirt, The Prairie Homestead Cookbook not only offers simple, down-home recipes for every kitchen, but encourages and inspires you to put your passion for homesteading into action through gardening and raising livestock. 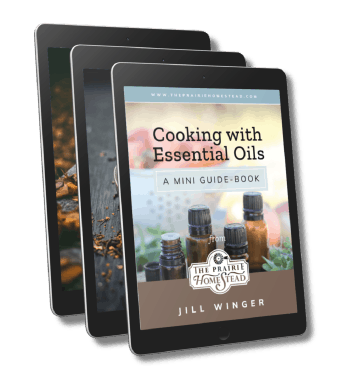 Not only does Jill teach you have to make delicious meals for your family, she draws readers into her daily life with stories of being a real homestead wife and mom. 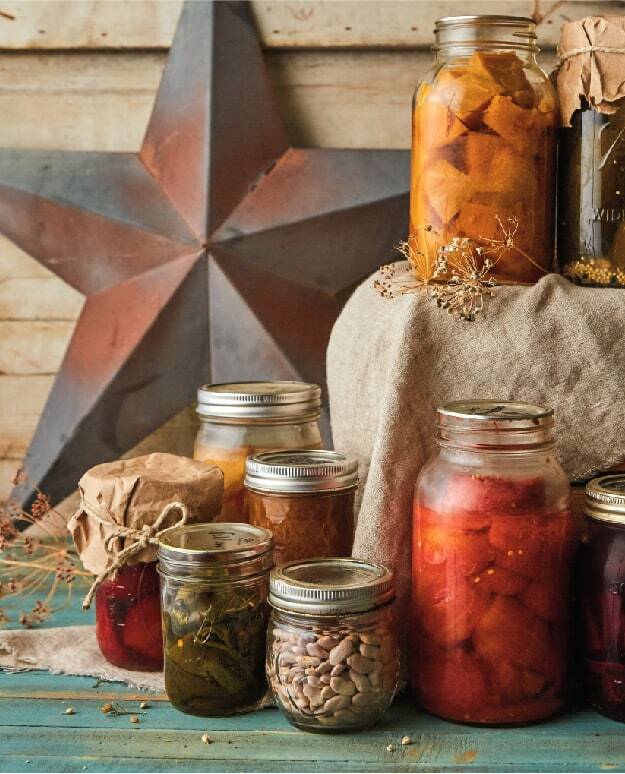 Whether you're on 100 acres, or a postage stamp lot, homesteading is attainable, and so is good, simple, hearty food!" This book feels just like I am sitting at Jill’s kitchen island talking about homesteading, life, cooking and family! 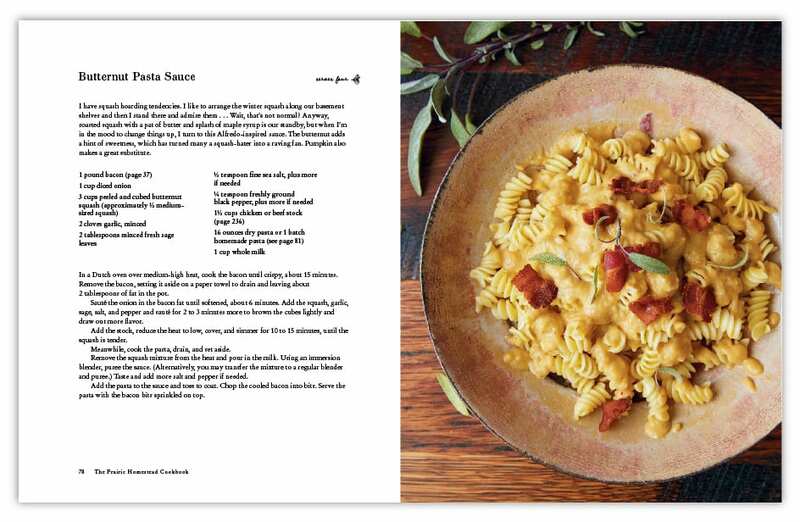 She has literally invited you into her home with this amazing cookbook. It energizes me to want to get into the kitchen and cook an amazing meal! Did you love the book? Leave us a review on Amazon HERE! Jill Winger and her family pursue a lifestyle of modern homesteading on the wide-open prairies of Wyoming. She blogs at The Prairie Homestead where she encourages others to return to their roots, no matter where they live. 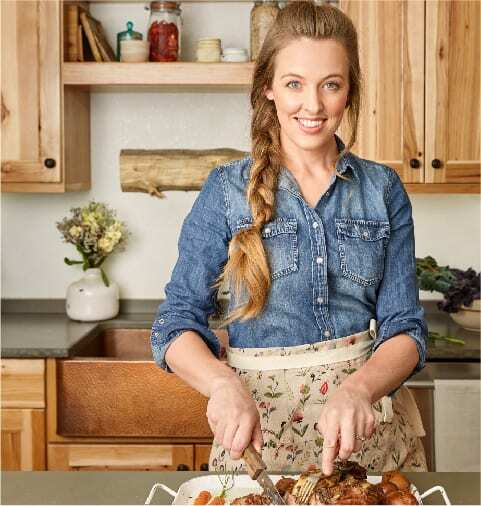 Her practical and authentic style of teaching and storytelling has won the hearts of over 500,000 homesteaders across social media who look to her for advice and reassurance in creating from-scratch meals, tending chickens, and growing their first garden. Jill has been featured in HuffPost, Chickens Magazine, Women’s World, and Fox News Magazine. 3-Video Series with tutorials on making your own bone broth, cooking the perfect indoor steak, and crafting a flaky butter pie crust. 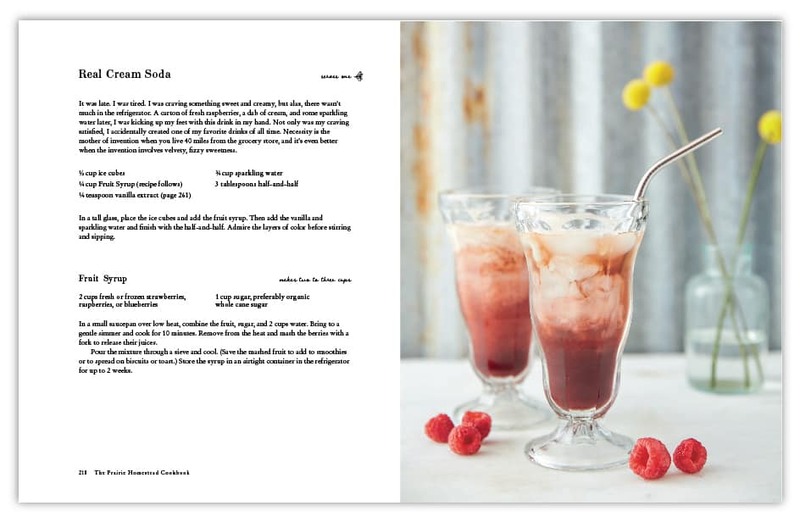 Plus more surprise bonuses when you order (or pre-order) your copy of the Prairie Homestead Cookbook! 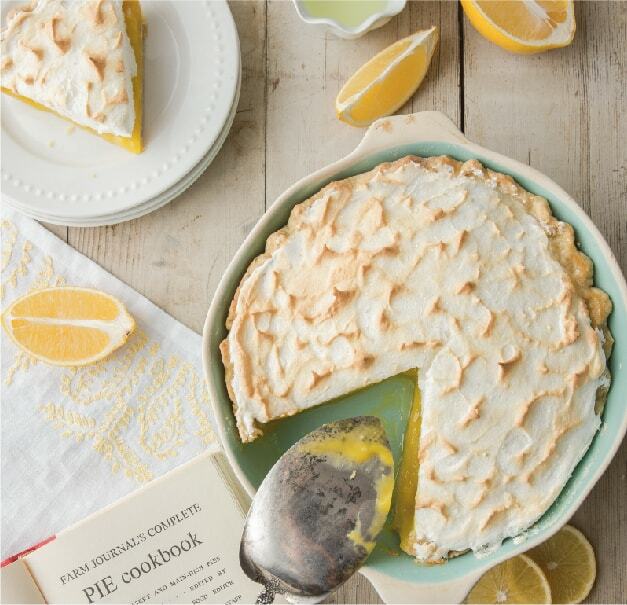 DO YOU LOVE THE PRAIRIE HOMESTEAD HOMESTEAD COOKBOOK?